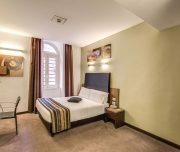 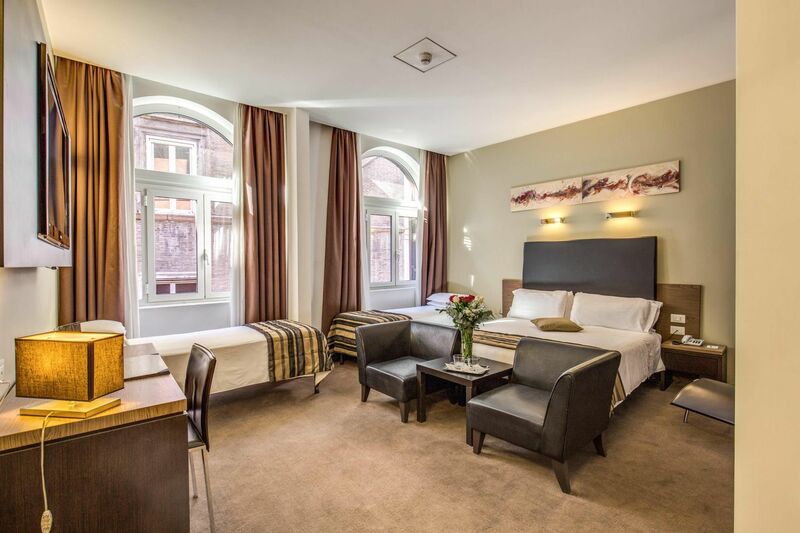 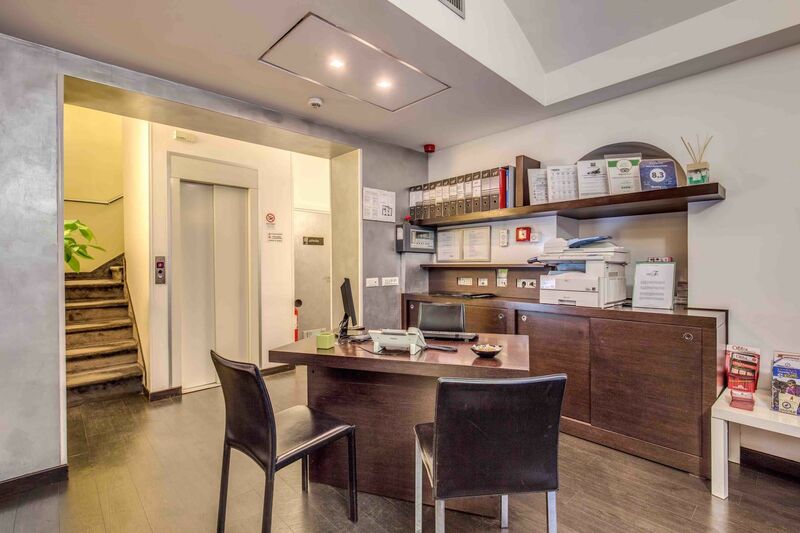 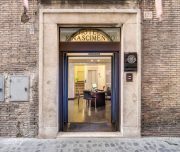 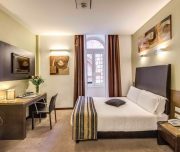 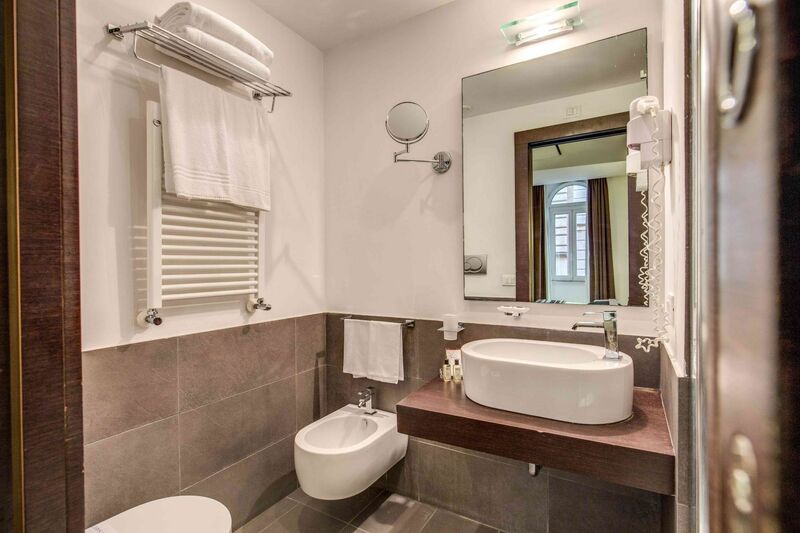 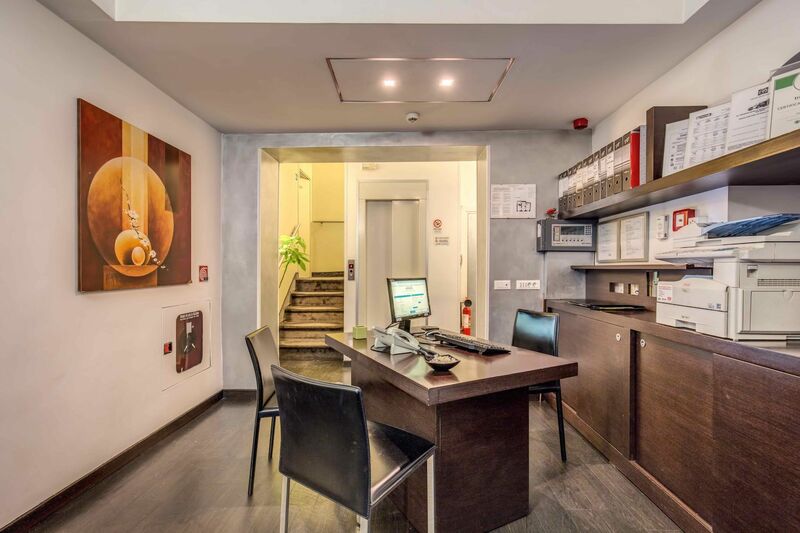 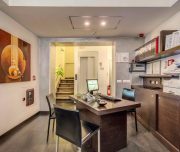 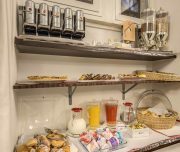 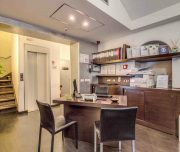 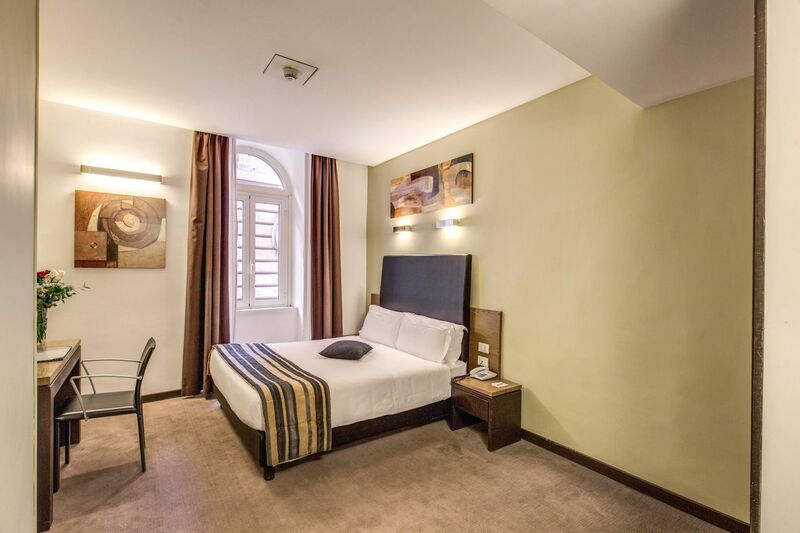 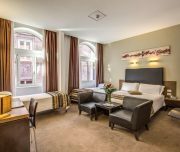 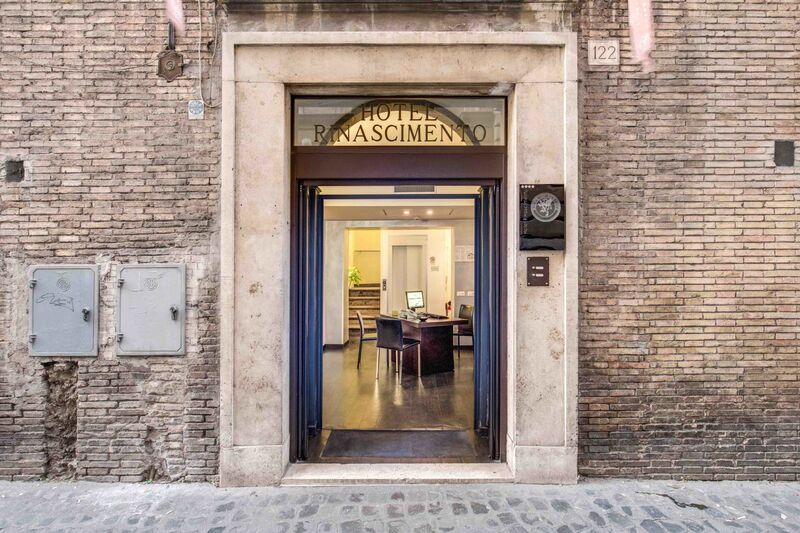 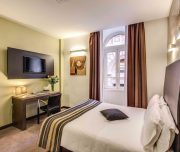 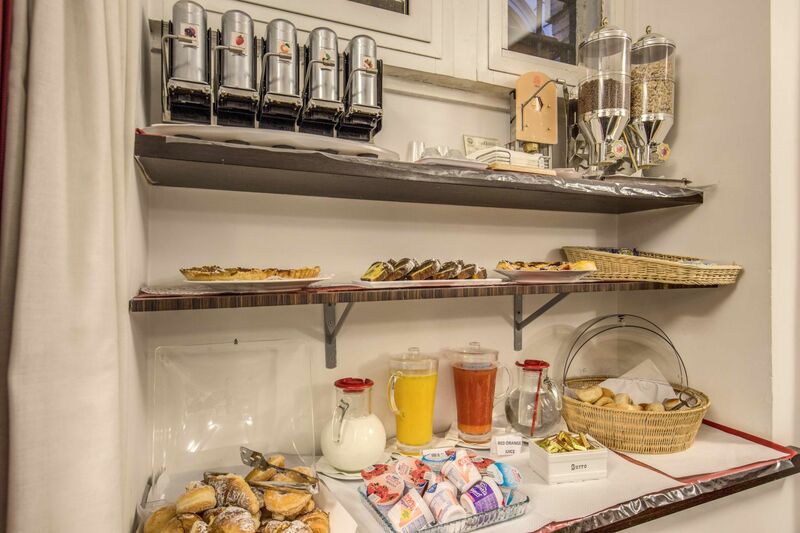 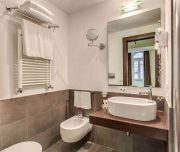 Hotel Rinascimento, being placed in an enviable location, is perfect for your stay to visit the well known Piazza Navona, the Vatican with its St. Peter’s Basilica, Castel Sant’Angelo and the Pantheon which represent the top expression of Roman history and art. 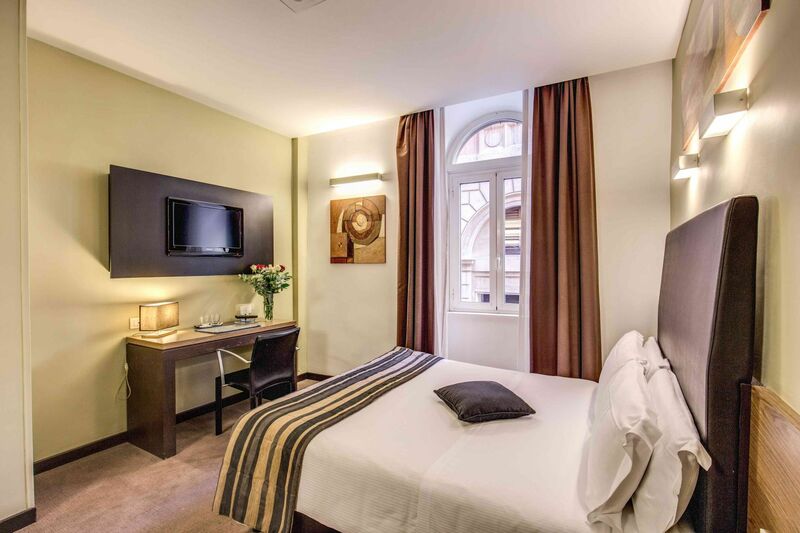 The hotel rises in a Renaissance building of an historical district named “Parione”, whose symbol is represented by a mythical eagle-headed creature with a lion body. 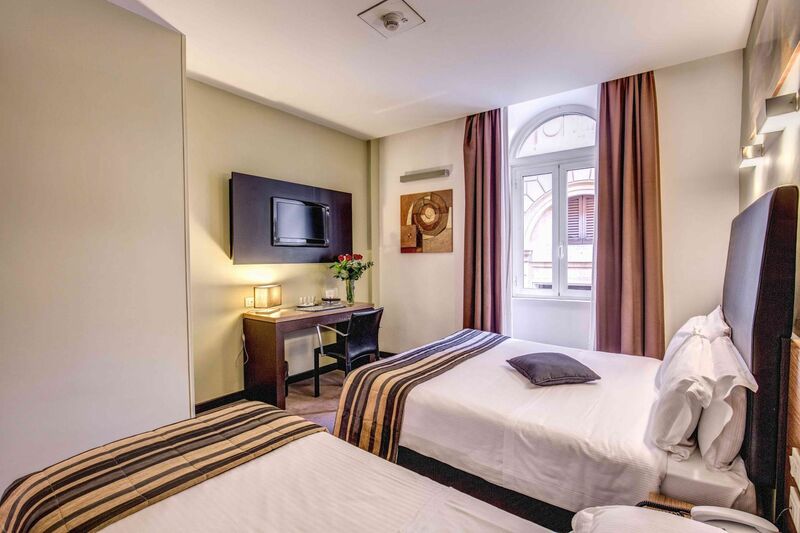 You will be captured by the vitality of “Piazza Campo de’ Fiori “ where you can see scented markets in the morning and enjoy your nightlife. 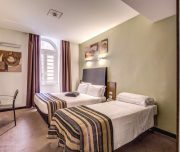 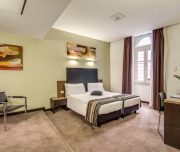 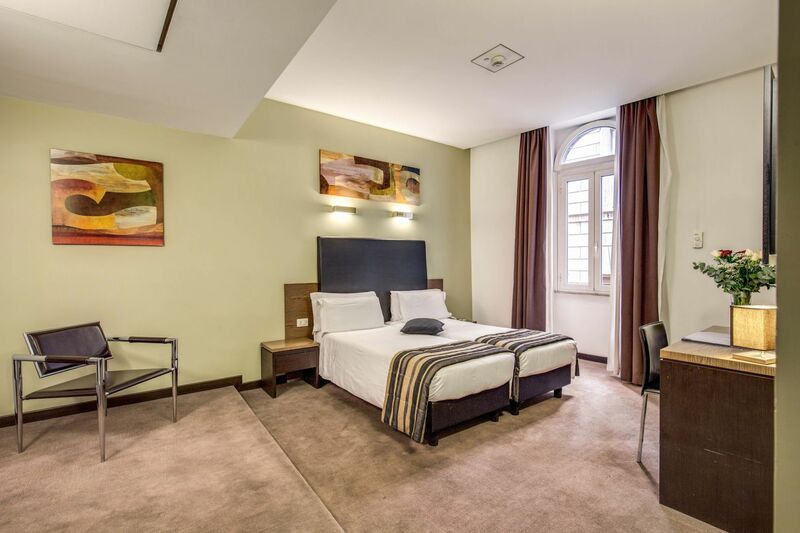 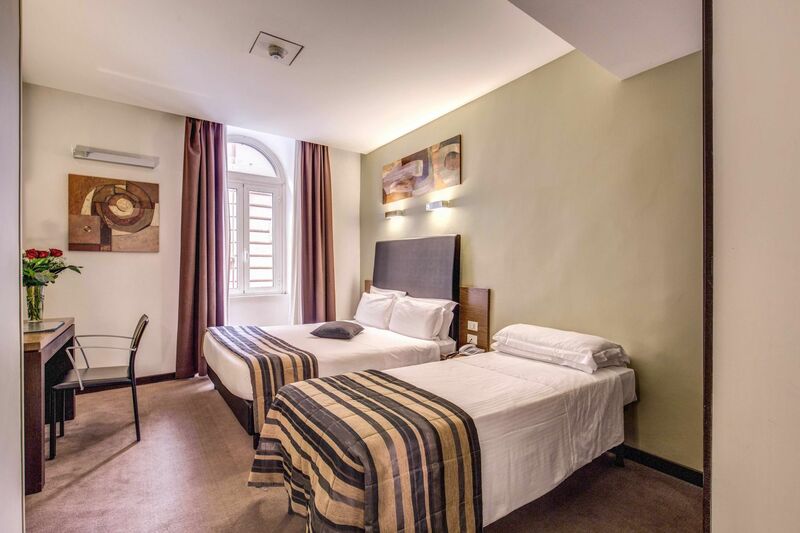 All the rooms (15rooms between double, twin bed, double single use, triple, quadruple room and 1 suite) are modern and functional, and this makes Hotel Rinascimento a warm and comfortable place, ideal for both leisure and business trips. 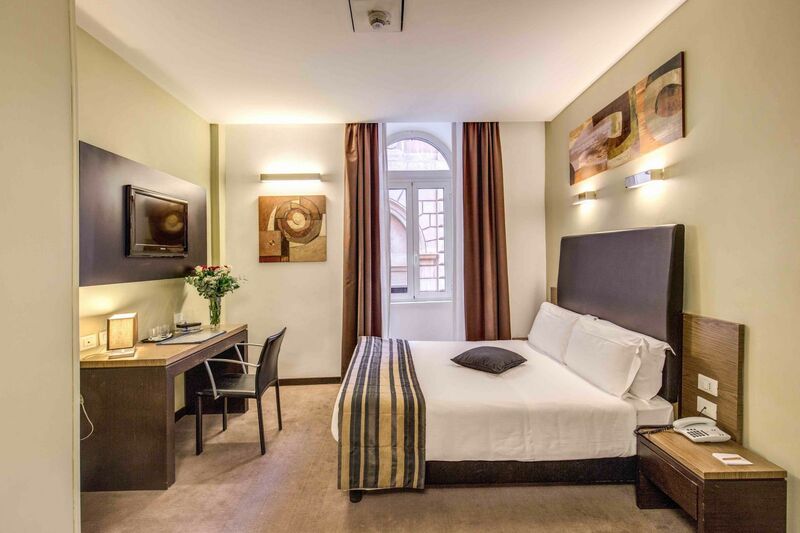 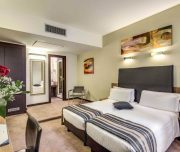 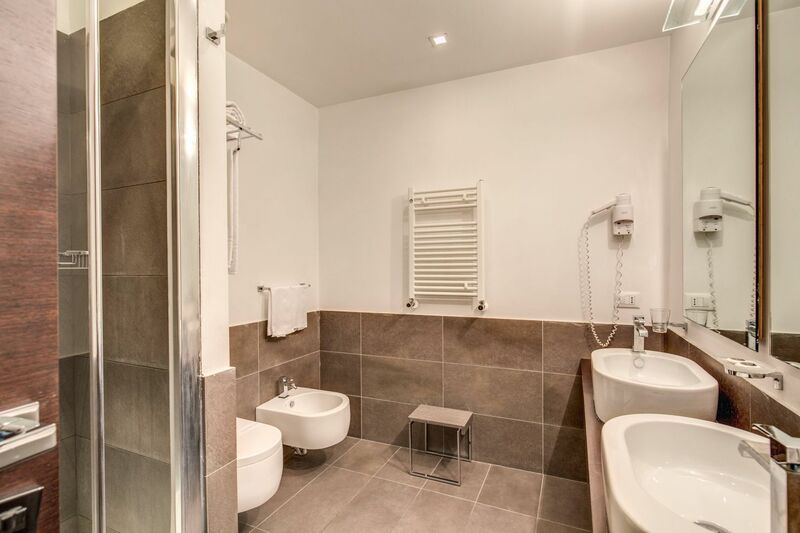 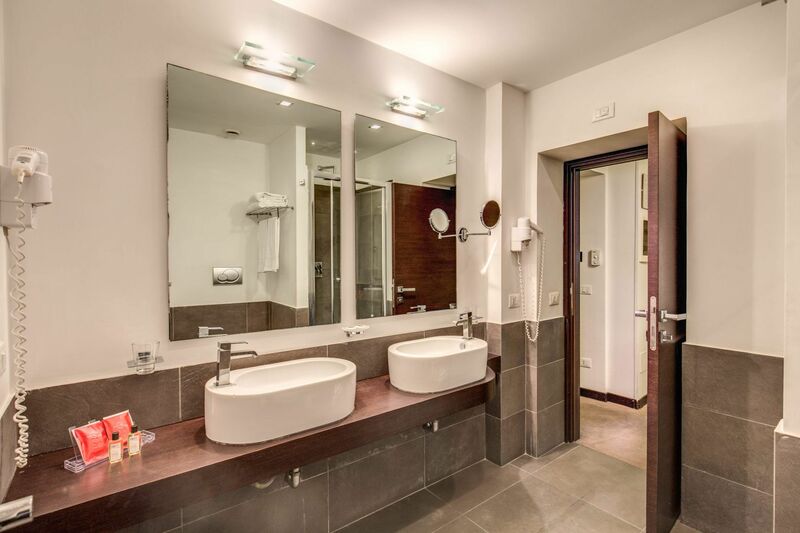 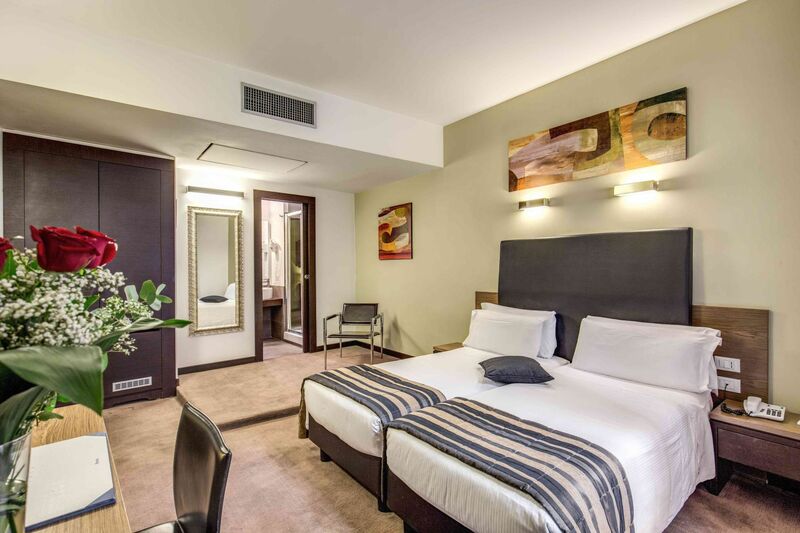 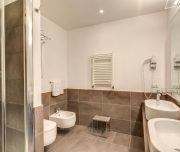 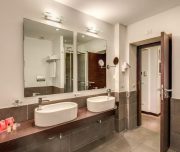 Equipped with internet wi-fi, hair dryer, safety box, minibar, wake-up call, telephone, bathtub or shower, our rooms designed in modern and sophisticated style, will meet all your expectations.